How many times do you hear about somebody trying to raise money for their own funeral? The story of Jazmin Rojas is in equal parts heartwarming and heartbreaking, a story of someone whose condition currently renders her in need of constant care, but who only wishes that she can take care of her family in case she has to leave them behind. 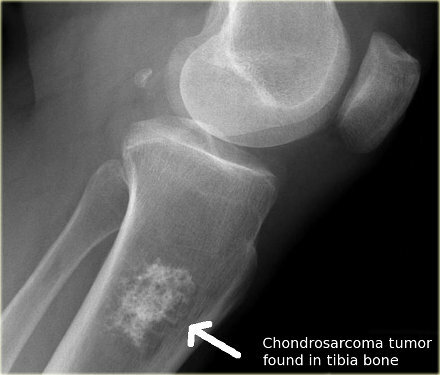 For the last two and a half years Jazmin has been in the fight against Chondrosarcoma, a rare bone cancer that is diagnosed to about 2,100 patients a year in the United States. 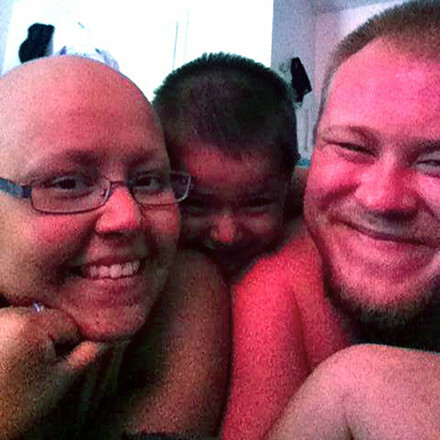 As of now, the cancer has rendered her paralyzed from the waist down, keeping her bedridden in the hospital and away from her loving husband and 4-year-old son. This happened just right after Christmas (an irony that Jazmin is somehow able to find gallows humor in) and needless to say, life has been a roller coaster for Jazmin and her family. As of now there’s no telling what’s in store for Jazmin. Having only supposed to have lived no longer than two years after her diagnosis, she’s already defied the odds and treats each day like a blessing on borrowed time. 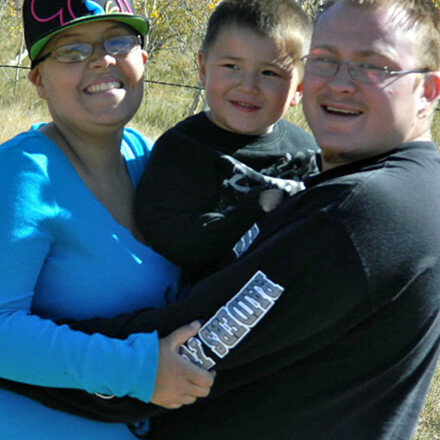 The worse case scenario would become a reality when Jazmin was diagnosed with Chondrosarcoma on July 5, 2011. The cancer was already at stage 4 and would require immediate treatment in the form of chemotherapy. Jazmin had just graduated high school. Her sister died soon thereafter. “When my sister passed, that really hurt me because that was my last sibling,” Jazmin said, recounting the loss. Ever since her diagnosis, Jazmin’s life has been a tumultuous journey, much which is recounted event by event on her Facebook page Prayers for Jazmin Rojas. The timeline on the page reads as a rocky road of alternating hope and disappointment, but one thing that remains constant is Jazmin’s faith and positivity. Despite the daunting circumstances, Jazmin is able to find a positive spin through her plight. Jazmin’s primary source of positivity other than her unyielding faith in God have been her son Demetrius (also known as DJ, Metri or Bubba) and her husband Greg, whom Jazmin describes as “My rock, my everything,” adding “He’s what I call my angel in disguise, and I’m pretty blessed to have him in my life.” Being high school sweethearts, the two are inseparable in spirit. Since her recent paralysis from the waist down (which requires a surgery too risky to perform, as the removal of the tumor on her hip could cause damage that has no hope of repair, and would result in permanent paralysis) Greg, whose love and commitment leave him tireless despite only getting three to four hours of sleep a night, has taken on the role of mommy and daddy to young Demetrius, who is checked by doctors every three months in order to make sure he’s cancer free, and if he isn’t, that the cancer is able to be treated in its early stages. It was my remedy. [Tech’s] music is my remedy. That’s why I look up to all of them – all the artists, the crew, everybody on the label. I look up to all of them. Their music is a part of my remedy. Granted they’re not going through exactly what we’re going through, but in some sort of way in what they translate about their lives is just a feeling that I had or expressed or felt in some kind of way. That special occasion at the Denver show was luckily captured by the Strange Music video department who were in town to film the concert. Greg approached Strange Music CEO Travis O’Guin and explained Jazmin’s story, who in turn instructed the video crew to film their experience at the Meet and Greet and make a video that would spread Jazmin’s story. #TeamJazmin bracelets were given to the artists who rocked them without hesitation. One of the artists has gone quite a few steps further than that, as Rittz has remained in contact with Jazmin and Greg since their meeting at the Denver show, and calls once a week to check up on how they’re doing. To Jazmin and Greg, these brief interactions are immeasurable for how much they mean in terms of morale and support. My biggest concern is that if anything happens to me, my expenses are paid for. When I was trying to bury my sister – right now she doesn’t even have her own urn, she doesn’t have her own place to put flowers at. I don’t want that to happen. I want my son to be able to go to a grave site and put a flower there for me. I don’t want my husband to have that stress on him to have to worry “Oh I have to pay this this and this” and still try to be the full time parent that he needs to be. Right now we have a fundraiser going on and it’s at gofundme. It’s on the page. Right now we’ve got 6,700 dollars and we would like to try to get to 15,000, but we’re just doing the best we can by spreading the news out. That’s pretty much what counts the most is just getting it out there. Mostly my wish is to get my story told and for it to be a legacy. That’s all. There are other people out there who are just like me but they don’t get as much help as they should. It’s sad because there’s certain cancers that get recognized like breast cancer. I’m not upset or mad about that at all, but I just wish there were more companies that wanted to do more for the other rare cancers too because there’s other kids who are going through it just like me that are younger than me and older than me. To see what they’re going through and what I’m going through, it breaks my heart and that’s why I’m trying to get my story out there so people can see that there’s more than just a few kinds of cancers that need help. There’s tons. My biggest goal is to get help for others through awareness. Currently the family is looking to get a new vehicle and move into a different location that has the handicap accessibility needed to support Jazmin’s new condition. Though the hits keep on coming, Jazmin remains resolute and takes life day by day, unknown to what the future holds. 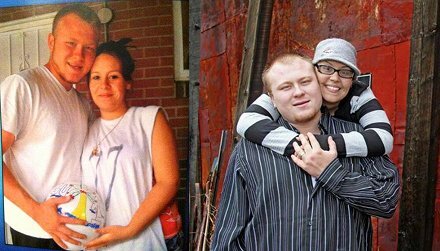 Regardless of what happens, Jazmin’s story will not fade away. Whether or not you have experienced the battle of cancer or it has taken the life of someone close to you, we can all be greatly humbled and inspired by the message of hope that Jazmin is leaving with her every waking hour. As evidenced by her latest Facebook update at the time of this post, the indomitable positivity of her spirit will forever remain no matter what. If she is able to count her blessings, then we should be able to do the same. 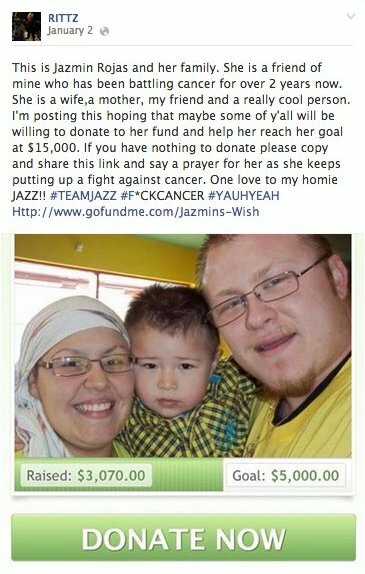 Much love to Jazmin and her family. and her family in the comments section below.